Travalo*, the lipstick size perfume atomiser will extend their current line with the Pure Essentials range fit for style conscious teens (although i do understand that i am now not one myself, le sigh!). The new design comes with a clear plastic bottle, available in red, silver or gold and has a pretty floral design up the side. They are handbag sized, at just 8cm tall so they wont feel bulky at all in your handbag and saves carting a huge glass perfume bottle around with you and are perfect for travelling if you want to take a couple of your favourite perfumes with you this saves on room! They also carry up to 65 sprays of perfume so i can imagine them lasting quite a while if you wanted them full, just think of how long it takes to spritz your perfume 65 times! 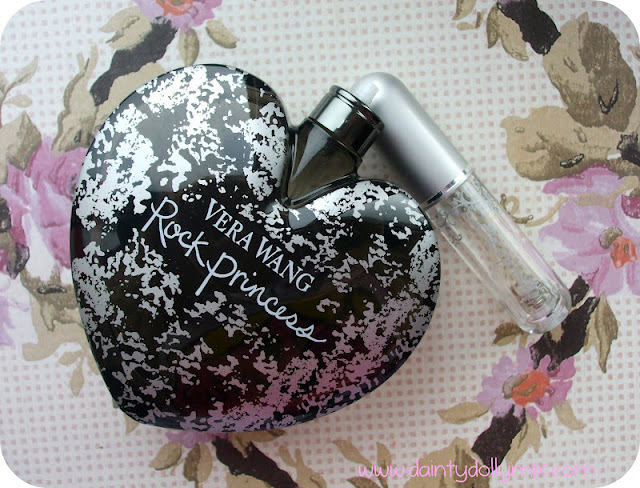 My fragrance of choice was Vera Wang Rock Princess that i received a huge bottle of for Christmas! They are super easy to fill which is what i was a little worried about doing! 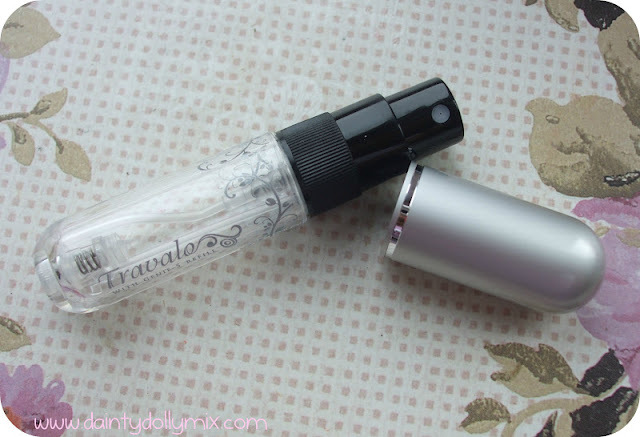 You simply pop the cap off your big perfume bottle, place the bottom of the travalo on top of the spray part of your perfume bottle and push the travalo up and down and you will see it filling with perfume. 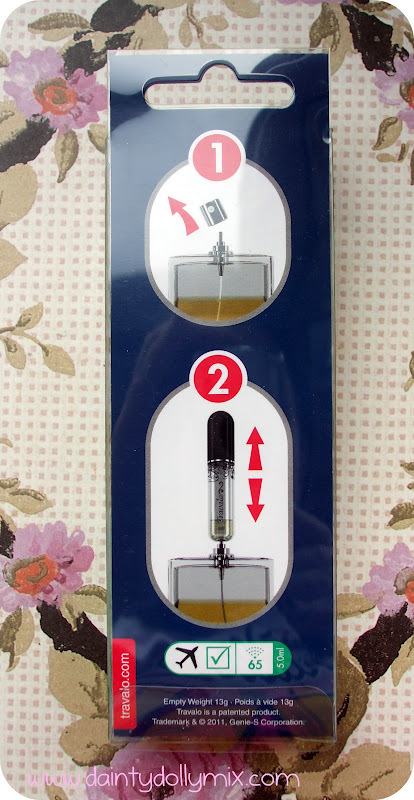 It is so quick and easy to do and literally takes seconds leaving no mess or spillage whatsoever, I was pretty amazed with the speediness and lack of mess! The new style Travalo will be available to buy online from March at Travalo, www.travalo.com for £7.99. A beauty must have in my opinion! Im definitely thinking of buying a few more and adding to my collection as they are a perfect travel friendly solution for perfumes! Hey! this is such a neat idea! I really dislike lugging around big bottles in my handbag. Can these be taken apart and washed though? Like if you want to change the perfume thats inside? hey! thanks for your reply! :) I live in Kuwait and just did a search.. and guess what? they're available here too! A little more pricier albeit, but available all the same! Am off this weekend to buy one for myself thanks to you! 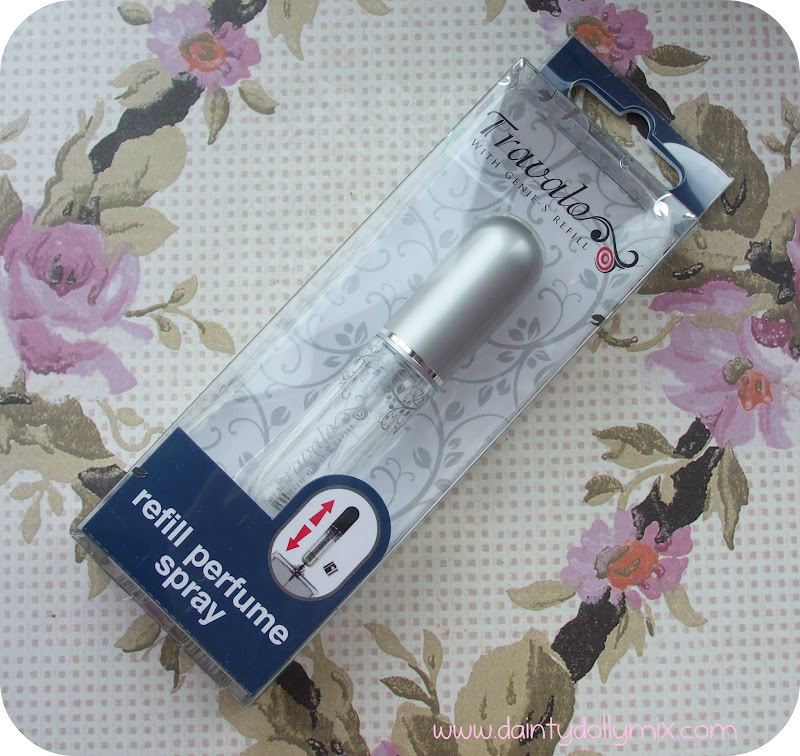 Ooooooo this looks so useful, I might have to buy one for my perfume! It will save lugging the big bottle about to and fro, as I travel a lot!! Thank you for the review, definitely going to buy one when they come out! I've seen these on quite a few blogs recently, such a good idea! I have one of those and it's so useful! Love the idea of it. i have one of the pink ones they are indeed a useful thing but only for one scent!